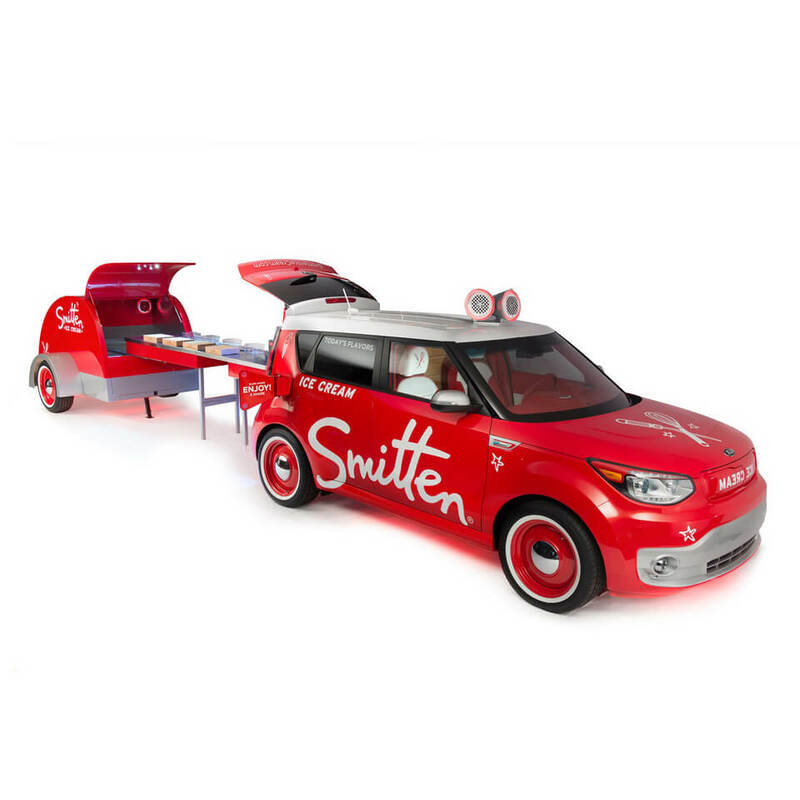 Smitten Ice Cream has achieved incredible success within the ice cream industry by thinking from the heart-side out. 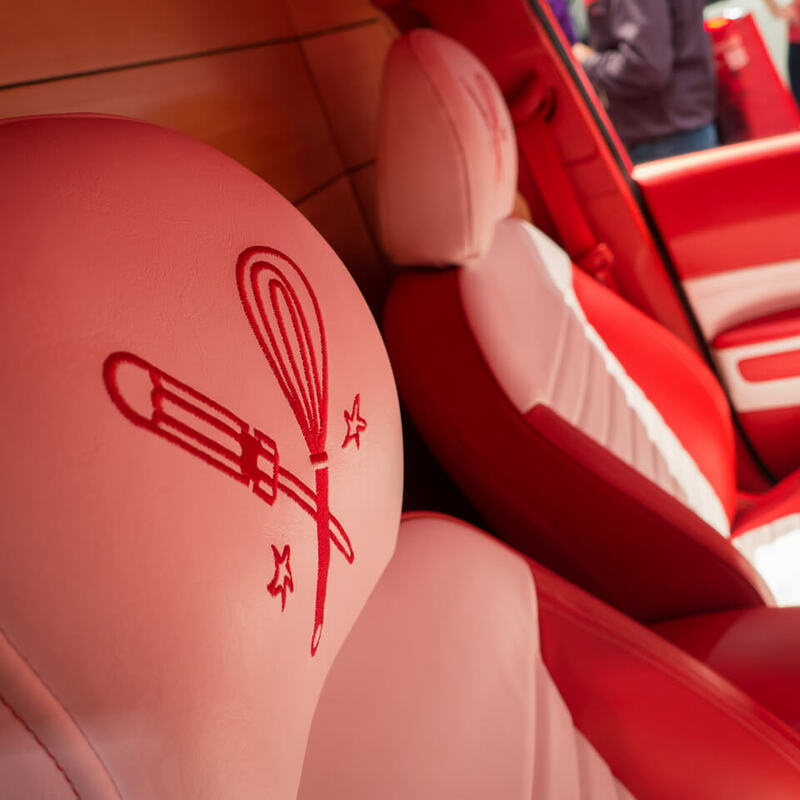 Each and every (perfect) scoop is made right before your eyes the second you order it. 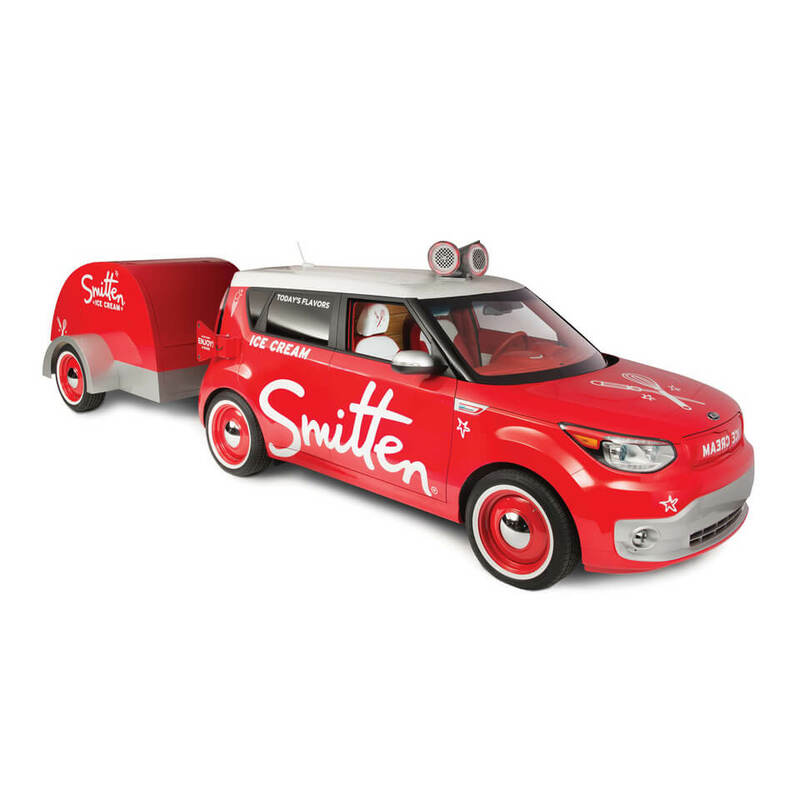 Using only the finest local ingredients, Smitten is super focused on quality, freshness, purity, simplicity, flavor and texture – no preservatives or artificial anything. 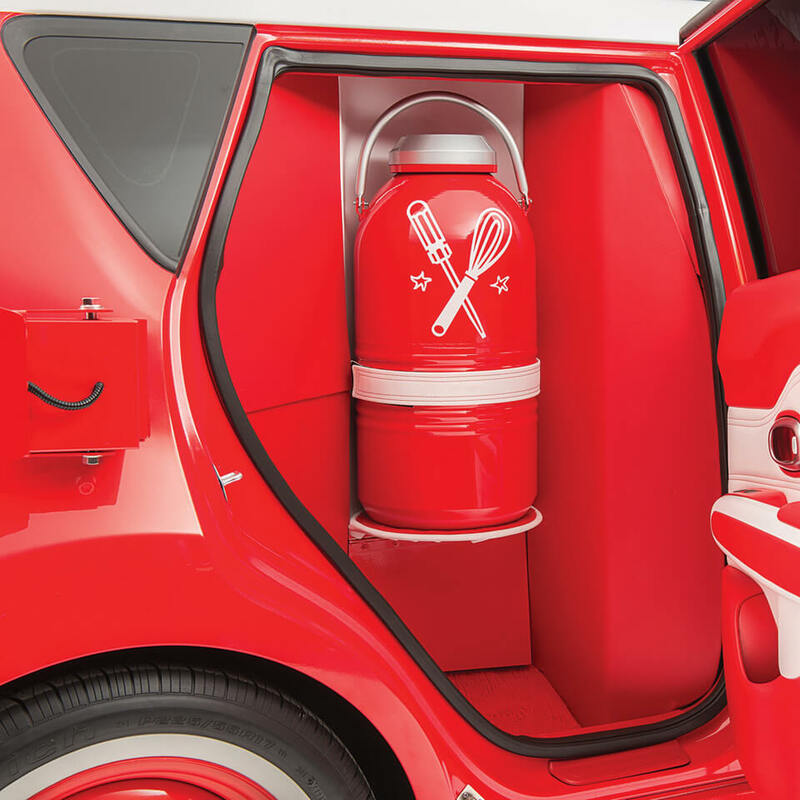 And did we mention they make it all with their patented Brrr™ Machine which uses liquid nitrogen (LN2) and double helical mixers (also patented) to craft the smoothest and tastiest ice cream on the planet. For real! 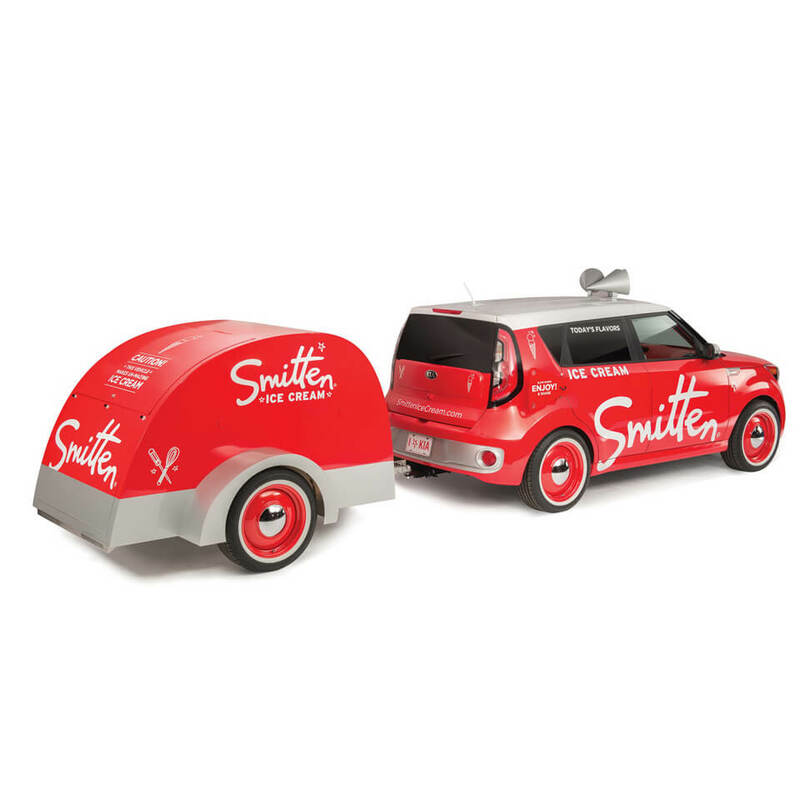 You can’t imagine how excited we were (super seriously excited) when we were asked to freshen up San Francisco based Smitten Ice Cream’s logo and branded materials. 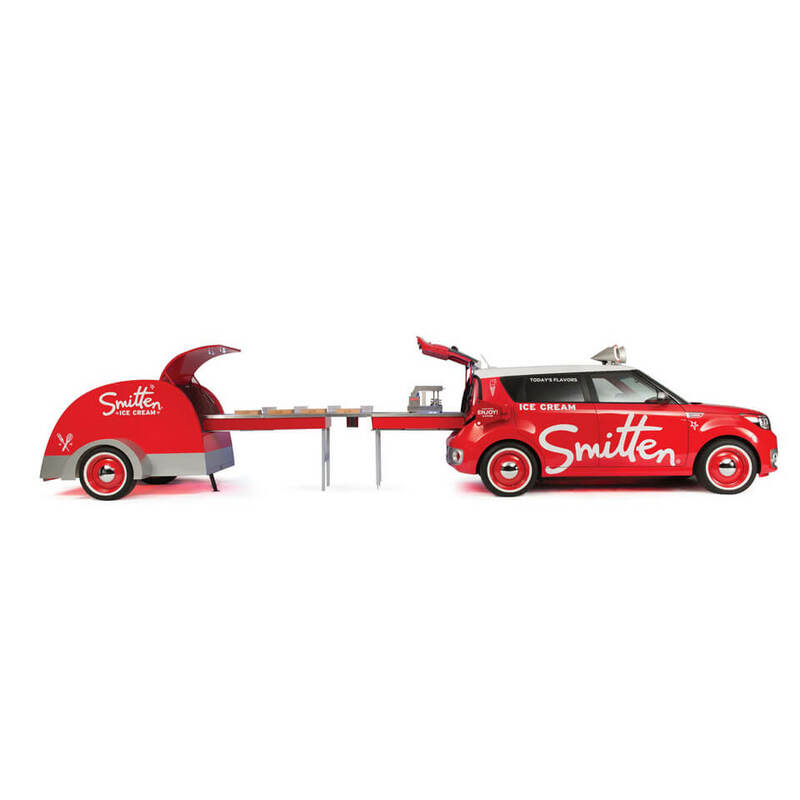 Working closely with the Smitten team and founder, Chief Brrrista, inventor, engineer and amazingly awesome human Robyn Sue Fisher – we updated and refined Smitten’s typographic logo, iconic red wagon, collateral assets including interior and exterior signage, menus and brand voice. 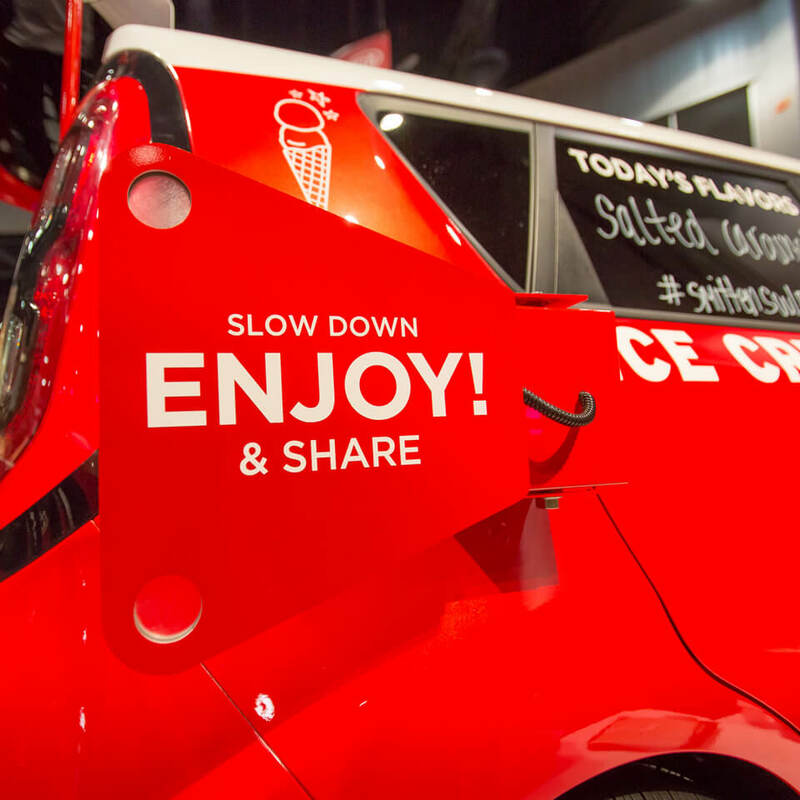 The Smitten team invited us to help concept and transform Kia’s all new EV (Electric Vehicle) into the ultimate ice-cream churning mega-cool ride for a grand unveiling at the SEMA Show in Las Vegas. Not only did we rock the task but we took it a step further by retooling the classic ice cream truck song . 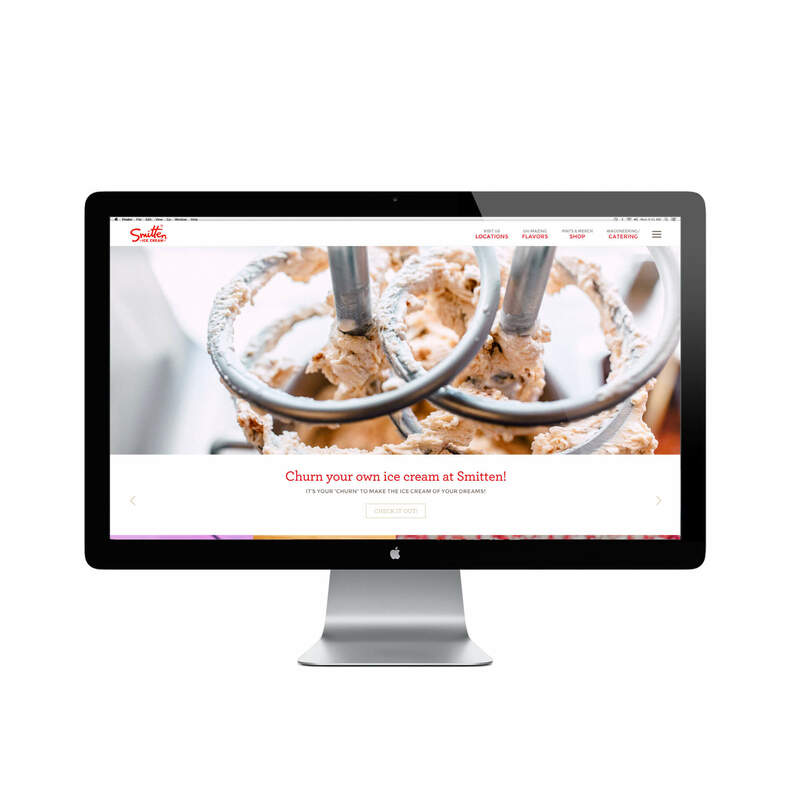 Project 13 also created a powerful new website for Smitten that is not only intuitive to use, sweet looking and easy for their team to update and maintain but allows for continued expansion as the company grows and adds locations, flavors and new products. 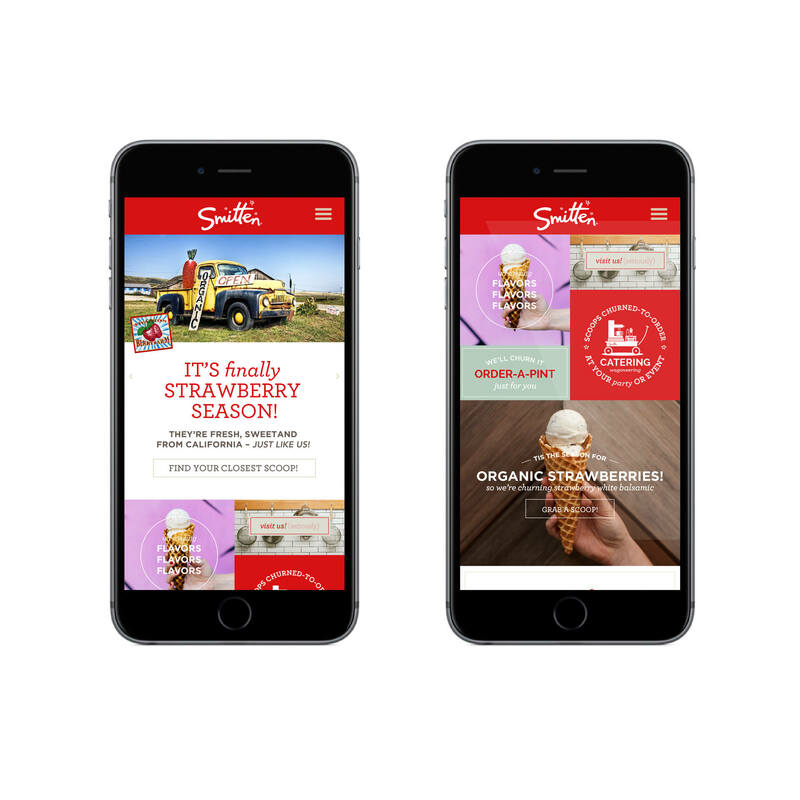 Check it out, find your nearest location (don’t fret – it does it for you by geo location) and get over there for a taste of how good ice cream should be.